The Indian constitution mandates that state should protect the life of every citizen (article 21) and in this case that of Anna Hazare, who blackmail the government to fulfil his demand ... The main theme of the movement i.e. anti-corruption is welcomed by everyone because corruption is slowly sucking the blood of this country. 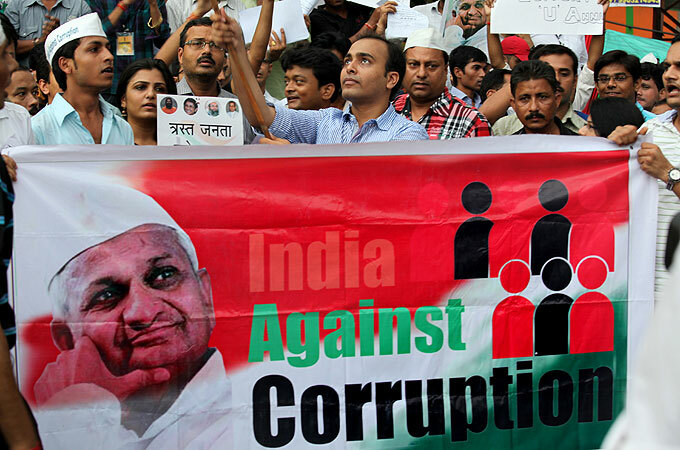 The Indian anti-corruption movement, commencing in 2011, was a series of demonstrations and protests across India intended to establish strong legislation and enforcement against perceived endemic political corruption. The movement was named among the "Top 10 News Stories of 2011" by Time magazine.